Last weekend, the Bat Signal shined a little less brightly upon news of the death of TV’s most beloved former caped crusader, Adam West. From 1966-1968, over the course of three seasons, West was a fixture on television screens across America as the breakout star of “Batman“, a campy, fun version of the dark knight that is virtually unrecognizable when compared to the brooding Bat that we know today. 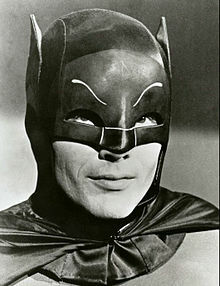 Yet despite this popularity, Adam West’s Batman, in the many years following its departure from television, was the subject of ridicule and scorn; a veritable example of how not to portray the Caped Crusader. However, nothing could be further from the truth. While I know I will suffer the slings and arrows of my fellow Bat-Fanatics, the fact is that Adam West actually saved Batman. Yes, it’s true-and years later, Batman would return the favor. Like many heroes, Adam West’s contributions will always be questioned. While there will be those who will never admit to his role in saving the Batman character, there can be no denying that he “Broke the Bat”. He accomplished this by portraying one of the darkest characters in comic history in a way that never took the hero too seriously. In so doing, Adam West changed how we looked at Batman. He showed us that it was ok to laugh, poke fun and yes, dance while saving the world. In turn, by accepting the love of a character that he helped create and that of the fans he inspired along the way, West was able to lift himself up as well. If that’s not the hero we deserve, then I don’t know who is.